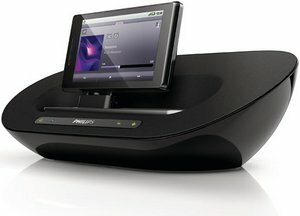 In the past we have seen many a speaker dock for the iPhone, but thus far the Android faithful have been missing out on a speaker dock for their Android based smartphone, however that little situation has now been rectified with the launch of the world’s first Android speaker docks from none other than Philips. 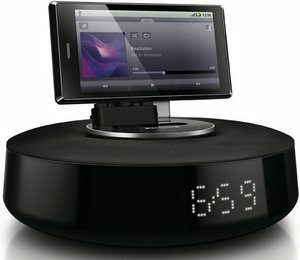 According to the guys over at PC Advisor, Philips has been hard at work on a line of speaker docks for the Android platform that will work with all Android smartphones, and have come up with the AS851 flagship dock, the AS351, which is slightly smaller and the AS111 Alarm Clock. How these work with all Android smartphones is that Philips has designed a new USB connector that can adjust to suit the differing positions of each Android device alongside a dedicated Philips app. The flagship AS851 is the main dock and the largest of the three and sports a 5-band equaliser, 30W speakers, Digital Sound Process, microUSB port, and remote control and is available right now for an asking price of Â£199.00. 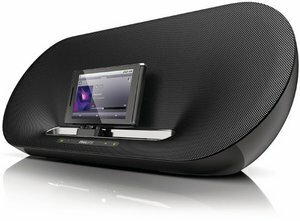 The AS351 is a mid range speaker dock with 10W speakers, microUSB port, clock display, Dynamic Bass Boost, and has been designed for music playing in the home or on the go by being powered either via AC or by AA batteries, and again is available to purchase right now for an asking price of Â£129.00. Lastly there is the AS111, which was released on the 11.11.11, and is the smallest of the bunch, and has been designed to replace your bedside alarm clock and adds a 360 degree speaker design along with clock time sync, 10W of power, clock display, a soft glow nightlight mode and will set you back a reasonable Â£70.00. So there you have it, the Android faithful now has a range of speaker docks to use with their chosen Android smartphone, will you be picking up one of these Android accessories for your music listening? Shame they didn’t allow for docking an Android tablet as well such as the Advent Vega.